← Izzy invite No.8: a climbing party. 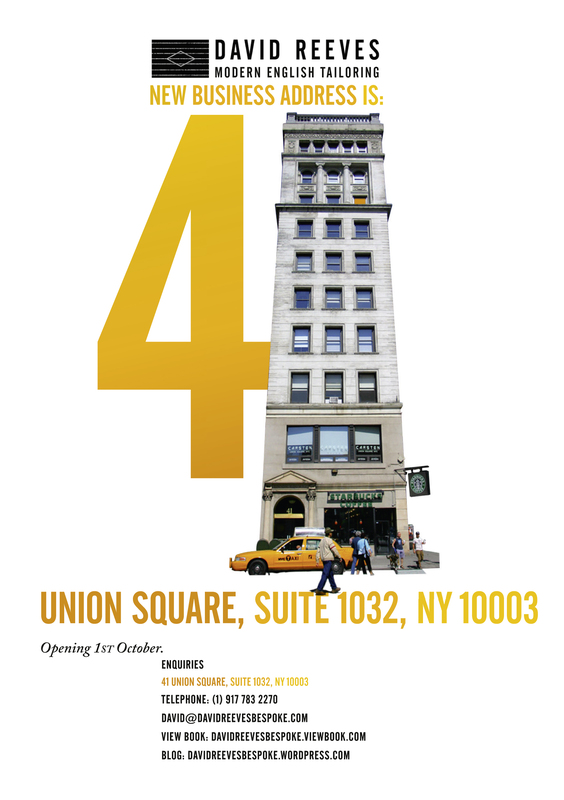 This entry was posted in David Reeves Modern English Tailor, Press and tagged David Reeves, New York Fashion, tailoring, Union Square, Using buildings as numbers. Bookmark the permalink.